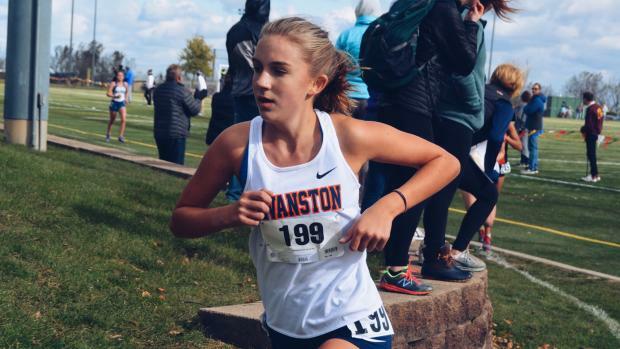 Meet Catherine Lynch, but you can call her Cate, she is a freshman at Evanston Township who competes in cross country. Find her covering meets in the Chicagoland area. She wanted to be a Milesplit intern because she has always read Milesplit's work and wanted to be a part of the team. An animal that best describes her is a monkey because she is always full of energy, and very social. She thinks the best events in track and field are distance events because they are her favorite to compete in and watch. Her favorite sports team is the Chicago Bulls, while the food she enjoys most is watermelon and pretty much all fruit. She feels the best track spikes are made by New Balance while the best running shoes are Nike Pegasus. Oh, she's team iPhone.